The rootstock of the modern Brittany, one of the world’s most beloved and versatile hunting breeds, is a less-than-savory tale. It dates back to medieval poachers, who relied on small, close-working hunting dogs to point and retrieve snipe, woodcock, and hare. Just as importantly, this partner in crime needed to come to a soft whistle or a whispered command. Back at the family hovel, the dog’s chores also included killing small vermin and keeping marauding foxes away from the boss’s scrawny chickens. As early as the first century AD, peasants in the region that would become France were breeding small, versatile hunting dogs from a variety of land spaniels. As feudalism manifested itself, these small pointing spaniels became the choice of subsistence poachers. Although they no doubt varied considerably in size and color, these early poaching dogs would probably look quite familiar to modern bird hunters. • Raise your Brittany as a member of the family. 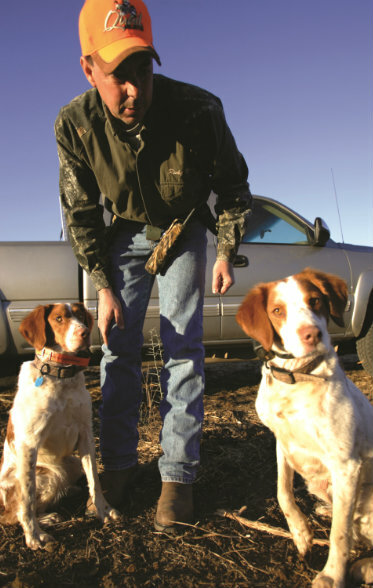 • Check with the North American Versatile Hunting Dog Association (www.navhda.org) for guidance. • Buy pups from show or pet stock. • Resort to harsh discipline. Brittanies thrive under gentle, patient training.